Does the current generation of soccer moms look fondly back at 1970s rock and airbrushed van art? Yes, I know it’s a year late, but a funny thing happened to me on the way to compiling a list of the best films of 2006. I checked into the hospital in late June 2006 and didn’t get out again until spring of 2007. For a long while, I just didn’t feel like watching movies. Then something revolved within me, and I was engaged in life again. I came to the terrible realization that I saw none of them in 2006, and I’ve only seen one, The Departed , since then. I’ve been a bad cinephile. Rural Indians are learning firsthand what it’s like to live under female leadership as a result of a 1991 law that restricted one-third of village council elections to female candidates. The villagers’ experiences are analyzed by economists Esther Duflo and Petia Topalova in a recent unpublished study. Using opinion surveys and data on local “public goods” — like schools, roads, and water pumps — Duflo and Topalova find that the villages headed by women invested in more services that benefited the entire community than did those with gender-neutral elections, nearly all of which were won by men. But as the opinion polls showed, for all their effectiveness, the women’s governance was literally a thankless effort, with the new leaders getting lower approval ratings than their male counterparts. Of course, any time you bring new people in from the outside, you should expect them to act differently from the insiders who are beholden to entrenched special interest groups. Hamilton recruited a few laboratory rats and pigs, as well as about a dozen human volunteers, including himself, to learn more about the physiological effect of sitting. The lab animals laid the foundation for the research in two different experiments. The animals were injected with a small amount of fat that contained a radioactive tracer so the researchers could determine what happened to the fat. The radioactive tracer revealed that when the animals were sitting down, the fat did not remain in the blood vessels that pass through the muscles, where it could be burned. Instead, it was captured by the adipose tissue, a type of connective tissue where globules of fat are stored. That tissue is found around organs such as the kidneys, so it’s not really where you want to see the fat end up. The researchers also took a close look at a fat-splitting enzyme, called lipase, that is critical to the body’s ability to break down fat. The results from the animal studies were very convincing, he said, and human experiments were just as compelling. The researchers injected a small needle into the muscles of the human volunteers and extracted a small sample for biopsy. Once again, the enzyme was suppressed while the humans remained seated. That resulted in retention of fat, and it also resulted in lower HDL, the “good cholesterol,” and an overall reduction in the metabolic rate. In particular, attributing poor performance to a lack of ability depresses motivation more than does the belief that lack of effort is to blame. In 1972, when I taught a group of elementary and middle school children who displayed helpless behavior in school that a lack of effort (rather than lack of ability) led to their mistakes on math problems, the kids learned to keep trying when the problems got tough. They also solved many of the problems even in the face of difficulty. Another group of helpless children who were simply rewarded for their success on easy problems did not improve their ability to solve hard math problems. These experiments were an early indication that a focus on effort can help resolve helplessness and engender success. Several years later I developed a broader theory of what separates the two general classes of learners—helpless versus mastery-oriented. I realized that these different types of students not only explain their failures differently, but they also hold different “theories” of intelligence. The helpless ones believe that intelligence is a fixed trait: you have only a certain amount, and that’s that. I call this a “fixed mind-set.” Mistakes crack their self-confidence because they attribute errors to a lack of ability, which they feel powerless to change. They avoid challenges because challenges make mistakes more likely and looking smart less so. Like Jonathan, such children shun effort in the belief that having to work hard means they are dumb. The mastery-oriented children, on the other hand, think intelligence is malleable and can be developed through education and hard work. They want to learn above all else. After all, if you believe that you can expand your intellectual skills, you want to do just that. Because slipups stem from a lack of effort, not ability, they can be remedied by more effort. Challenges are energizing rather than intimidating; they offer opportunities to learn. Students with such a growth mind-set, we predicted, were destined for greater academic success and were quite likely to outperform their counterparts. We validated these expectations in a study published in early 2007. Psychologists Lisa Blackwell of Columbia University and Kali H. Trzes­niewski of Stanford University and I monitored 373 students for two years during the transition to junior high school, when the work gets more difficult and the grading more stringent, to determine how their mind-sets might affect their math grades. At the beginning of seventh grade, we assessed the students’ mind-sets by asking them to agree or disagree with statements such as “Your intelligence is something very basic about you that you can’t really change.” We then assessed their beliefs about other aspects of learning and looked to see what happened to their grades. As we had predicted, the students with a growth mind-set felt that learning was a more important goal in school than getting good grades. In addition, they held hard work in high regard, believing that the more you labored at something, the better you would become at it. They understood that even geniuses have to work hard for their great accomplishments. Confronted by a setback such as a disappointing test grade, students with a growth mind-set said they would study harder or try a different strategy for mastering the material. The students who held a fixed mind-set, however, were concerned about looking smart with little regard for learning. They had negative views of effort, believing that having to work hard at something was a sign of low ability. They thought that a person with talent or intelligence did not need to work hard to do well. Attributing a bad grade to their own lack of ability, those with a fixed mind-set said that they would study less in the future, try never to take that subject again and consider cheating on future tests. Such divergent outlooks had a dramatic impact on performance. At the start of junior high, the math achievement test scores of the students with a growth mind-set were comparable to those of students who displayed a fixed mind-set. But as the work became more difficult, the students with a growth mind-set showed greater persistence. As a result, their math grades overtook those of the other students by the end of the first semester—and the gap between the two groups continued to widen during the two years we followed them. 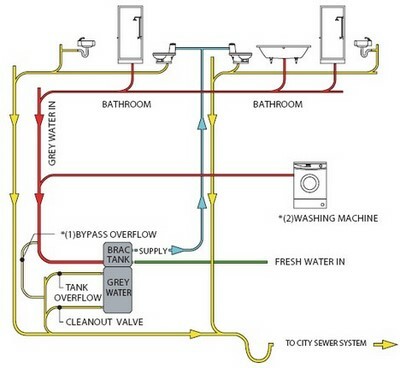 The Brac system includes “state-of-the-art components that filter used water from your shower, bath and laundry(*1), and then reuses it for your toilet’s evacuation system. 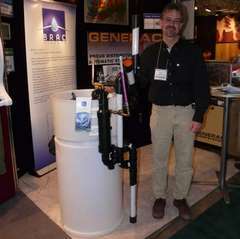 The recycled water, which we will refer to as grey water, is strictly used for your toilet or for irrigation, and cannot get in your drinking-water system. I’m not sure the mass market is going to run out to spend $2,000 to save a little water — especially if water prices don’t go up to reflect low supply and high demand. 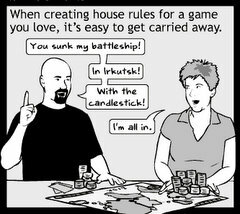 How to Create "House Rules"
Scott Meyer, in his Basic Instructions comic, explains How to Create “House Rules” for games. A military reserve, supervised by the national government, being necessary to protect the State from external attack, the right of the people collectively to maintain and use weapons shall not be infringed. In 1792, “regulated” as applied to military matters contained no connotation of political oversight or control. Instead, it meant trained and organized. In a time when soldiers fought by moving in large, coordinated formations, order meant everything to military effectiveness. They used “regular” in the sense we use when we speak of of a regular angle or polygon. “Regulated” military units were organized into consistent, interchangeable units that made battlefield information management more efficient. “Unregulated” military units were just unorganized groups of men that could not fight as effectively as did “regulated” units. The use of “regulated” versus “unregulated” held no connotations of political control at all but merely described the units’ state of military organization. With the passage of time, armies raised by centralized governments proved more organized than those raised by citizens. The phrase “regular army” evolved to mean one controlled by a centralized authority and “irregular army” evolved to mean an ad hoc one. The original use of the words to describe the organizational state of the army at any given time disappeared. In 1792, “militia” held no connotations of a military reserve. Instead, the term applied entirely to self-organized groups of citizens operating out of their own shared authority. A “militia” differed from an “army” in that a central executive such as a monarch raised armies, but when citizens acted themselves they raised “militias”. Nothing in the use of the word “militia” prior to the 20th Century implied any degree of state sanction. In both colonial and frontier times, groups of citizens raised “militias” on their own authority at any time of their choosing and organized them as they saw fit. Prior to the Civil War, most campaigns against Native Americans were carried out by militias organized in frontier communities. Indeed, for people of the founders’ generation, no current American military organization would qualify as a “militia”. State executives were given the authority to call out the militia but the inherent moral and legal authority to form a “militia” rested with the civilian population. In 1792, “free state” did not mean a country free from external attack but rather a non-despotic government. Well trained and coordinated groups [of] citizens organized for military action being necessary to prevent the devolution of governments into despotism, the inalienable ability of individual citizens to possess and use weapons shall not be abridged. We should also remember that the Founders were referencing relatively recent historical experiences — ones that had overshadowed political discourse throughout their lives. If any American state were t attempt secession tday, we would view that event through the lens of the American Civil War even though that event was almost 160 years ago. So the founders viewed these issues through the lens of the Glorious Revolution, which was only a century previous — they had known witnesses to those events in heir childhoods. And the English Civil War was no more distant to them than the American one is to us today. 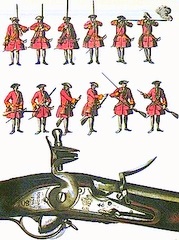 To them, the threat to the “security of a free state” was exemplified by the Stuarts trying to disarm citizens’ militias in the years before 1688, or the professional New Model Army marching into Parliament to dismiss the members they disliked by force of arms. The Second Amendment is a real reaction to real-world events — and it specifically endorses the fundamental concept of an armed citizenry. 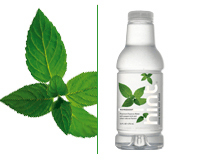 In May, 2005, the Goldins launched Hint, a naturally flavored bottled water made without sweeteners or preservatives. Kara is the chief executive; Theo the chief operating officer. This year they expect revenues of $3 million to $4 million, and next year three times as much. The water is sold in several grocery chains, including Whole Foods Market, Stop & Shop, and Ralphs, as well as small stores. And, because Cherise McVicar, Walt Disney’s senior vice-president for national promotions, happened to try (and like) a sample of Hint, the Goldins now have an arrangement to put Disney’ characters on their bottles. For the Goldins, the years between leaving their familiar world and entering unknown terrain were filled with questioning, sussing out possibilities, then a moment of recognition followed by months of experimenting, gathering info, listening, cold-calling, and being called naive. Then they just plunged in. Kara began testing fruit combinations on her family and friends while trying to squeeze information from any people in the beverage business who would talk to her. They were pretty skeptical that someone without any experience could succeed with the most difficult of drinks to produce and sell: one that was unsweetened and made without preservatives. When she put together a business plan in 2004, she started to see what the skeptics were getting at. “I had no resources for labels, bottles, bottlers,” she says. “I had only halfway listened to their point about how hard it is to get shelf space [in stores].” The only thing that wasn’t a problem was money: She and Theo financed the company themselves initially. Now, after additional investments from friends and family, they own more than 90%. Theo began devoting more time to Hint about six months before the May, 2005, launch — in two stores, one in Marin County, Calif., and the other in Manhattan. They hadn’t signed up any distributors yet, so they drove the first delivery to the local gourmet market (one case of each flavor — apple, cucumber, lime, and tangerine). A few months later, they got their first big break. At the Fancy Food Show in New York, the San Francisco buyer for Whole Foods expressed interest in carrying Hint. He asked if the Goldins were with United Natural Foods (UNFI ). They had no idea what that was. Turns out it is the largest natural food distributor in the U.S. With the promise of Whole Foods as a customer, they worked out an agreement. Now the Goldins have begun to grapple with some of the compromises they made early on. They’ve improved the production process so that Hint has a shelf life of 12 months instead of four. They’ve changed their 16-ounce bottle, which was originally an inch shorter than others on the shelves and looked puny by comparison. Their new one is a standard eight inches tall. They’ve also figured out a few things about the flavors. Apple and pear are too difficult to work with, so they’re on hiatus. To develop mango grapefruit took 15 tries with three different consultants over an entire year. Peppermint, though, took only two attempts. Next year they hope to raise $3 million from an investor who might help expand their distribution and sales. “We learned over and over again in the tech world that it’s not really about the idea. It’s about how well and how fast you execute the idea,” says Theo. It’s not really about the idea. It’s about how well and how fast you execute the idea. I guess that’s why I should have executed this idea a few years back. Weather has always been a huge operational challenge for airships, which can’t simply fly above bad weather, the way heavier-than-air airplanes can; they have to fly around it. Traditionally, the airship pilot and flight crew had to study weather maps and carefully plot out their best-guess route for avoiding head winds. Now, computers can plot intricate weather-optimized routes that take into account both unwanted head winds and helpful tail winds. Non-rigid airship designs — blimps — are cheaper and easier to build than rigid designs — zeppelins — but they have a size limit based on the strength of the envelope fabric. With stronger fabrics, we can now build non-rigid airships as big as the old rigid airships from back in the day. Fully buoyant airships, as they slow down to land, behave more and more like soap bubbles, at the mercy of the wind. One way to side-step this problem is to make the ship heavier. A “hybrid” airship obtains just 80 percent of its lift from helium and the remainder from dynamic lift, like an airplane. Airships, because they travel so slowly compared to jets, can have enormous payload volumes. In most transport aircraft you run out of payload volume long before you ever reach the payload weight limit of the aircraft. Airships require less infrastructure than jets, trains, etc. — they don’t require a massive modern airport at each end — which makes them (a) flexible and (b) ideal for the less-developed world.